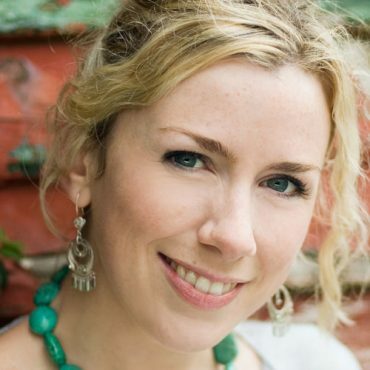 A regular contributor to television and radio programmes in Ireland and abroad, OAIM tutor Muireann Nic Amhlaoibh featured prominently in the Highland Sessions BBC television series, celebrating the best of Irish and Scottish traditional music and song. She also co-hosted and performed at the 2007 and 2009 Gradam Ceoil TG4 (Irish language TV channel) and has presented many music programmes. A Gradam Ceoil 2011 winner, Muireann grew up immersed in the vibrant West-Kerry tradition with its wild dance music, soulful slow airs and many beautiful songs. Her father, a fiddler, would bring her to music sessions from a young age. There she began to play music on the flute and tin-whistle and to sing sean-nós songs, learning from wonderful local singers. She also attended Siamsa Tíre, the National Folk Theatre of Ireland, for several years. She was awarded an M.A. in Traditional Music Performance from the University of Limerick in 2002. She currently tutors both flute and singing in the University. Muireann toured and performed with various musicians and groups before joining the group Danú in 2003. In 2004 Danú won the BBC 2 Folk Award for Best Group. At the same awards, the song The County Down by Tommy Sands that Danú had recently recorded, won Best Song. Muireann herself won Best Singer at the liveireland.com Awards in 2005. She has toured the world with her music visiting countries as far flung as India, Bulgaria and Jordan and performed for such dignitaries as An tUachtarán Mary McAleese, An Taoiseach, The President of Bulgaria and the EU Assembly. She continues to tour regularly with Danú whose new album “Seanchas” was released in April 2010. Muireann is extremely sought after both as a vocalist and flute player and has collaborated with many musicians at home and abroad such as Julie Fowlis, Darrell Scott, Liam Clancy and The Bulgarian Womenֳ Choir. She released her solo album Daybreak: Fáinne an Lae in 2006 to great acclaim. 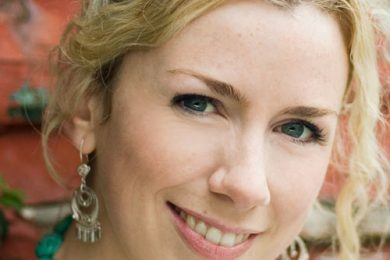 In 2008 she recorded “Dual”, a collaborative project with Julie Fowlis, Éamon Doorley and Ross Martin exploring the links between Irish and Scots Gaelic music and song. Muireann also gives workshops regularly at home and abroad and has been an adjudicator the past three years for the Gael-Linn “Siansa” competition for young Traditional Irish bands.